In Titus 1:5, Paul left Titus in Crete to “set things in order, and to ordain elders”. 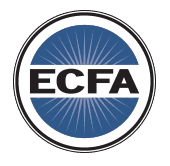 In 2 Timothy 2:2 he instructs Timothy to “commit to faithful men the Word, that they may teach others also”. 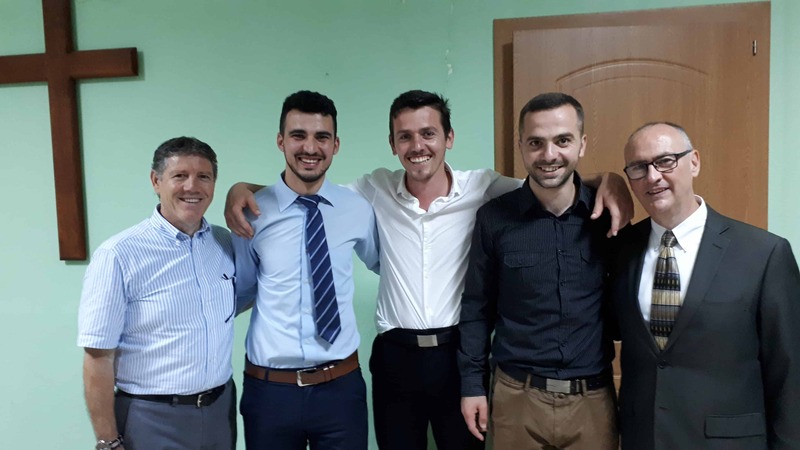 God’s faithfulness to the church in Tirana was on display this weekend as we celebrated the giving of 2 year Bible college diplomas to four gifted men: Saimir Duka, Edmond Gjoni, Vrenoz Beqaraj, and Endri Kanina. in addition to these, Tomi Gjoka and Endri each received licenses to preach. Pastor Brian Lange gave the keynote message to the Body of Christ and visiting families and friends. A salvation invitation was shared, and we are hopeful that those who heard the Gospel will be saved. The weekend had another and more personal significance for me. 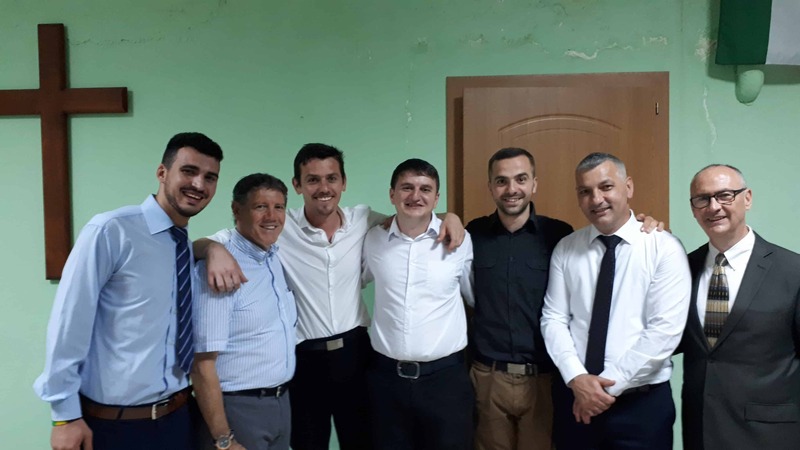 After ten years in Albania it has become evident that certain men in the church are ready to lead. They have shown faithfulness to the Word, the church, and a love for the Body. After private meetings with them and time with Pastor Lange, it was decided to promote Tomi Gjoka, Endri Kanina, and Vrenoz Beqaraj to the office of an Elder. This truly is a crown of rejoicing to me and what we have been hoping and praying for. 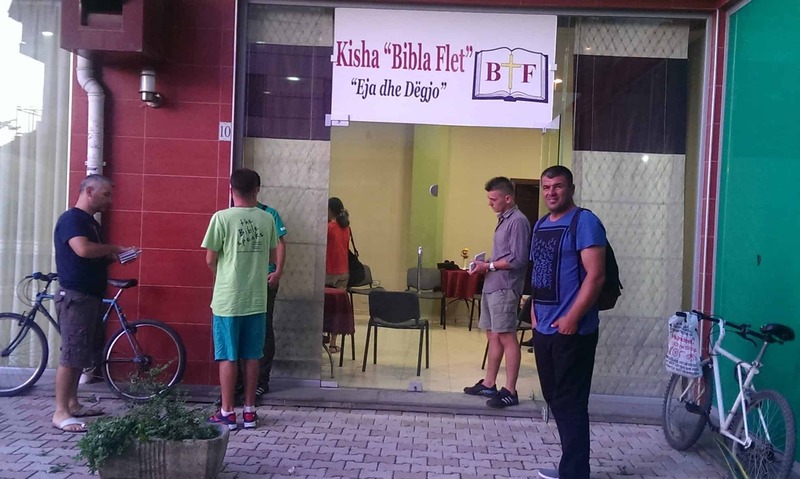 These Albanian men are the future of the church here in Tirana. I am confident that they will lead in the spirit of humility and love. 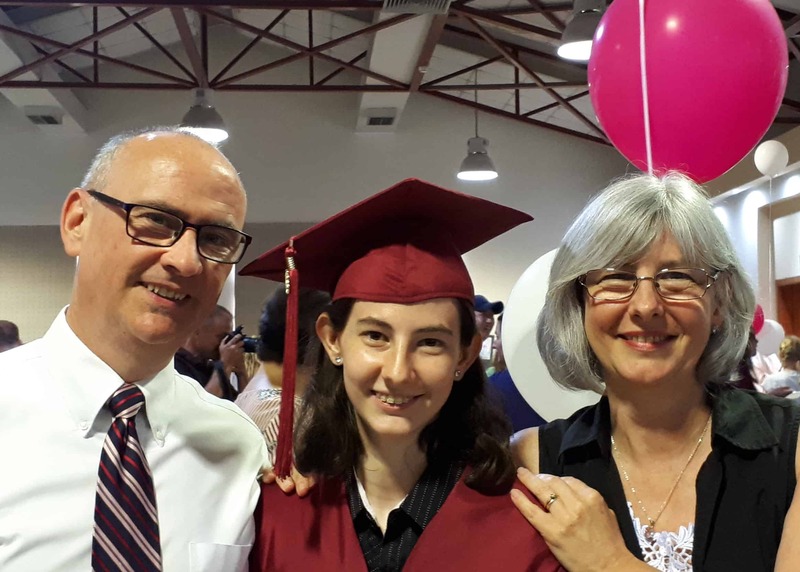 This week has also marked the completion of Ruth’s home-schooling. She received her High School diploma and has been accepted to Maryland Bible College and Seminary for the fall semester. July brings with it our annual summer conference and missions trip. The conference will be in the northern city of Shkodra, and the summer harvest will be to Montenegro and Bosnia. The end of July is the annual CampLife Europe. Please pray for the finances of three Albanian teens Ana, Pavlo, and Elisona, who hope to go, and also our youth leader Vrenoz (Vero).